Effenus Henderson is President and CEO of HenderWorks, Inc. (www.henderworks.com ) and Co-Founder of Institute for Sustainable Diversity and Inclusion (www.i4sdi.org ). He served as Chief Diversity Officer for Weyerhaeuser Company, Federal Way, Washington until his retirement in December 2013. He is an internationally recognized diversity thought leader and has been invited by numerous companies and organizations to share his expertise. He has provided advisory support on diversity to the US Federal Government’s EPA office, Office of Personnel Management, US Forest Service, State Department and the USDA. 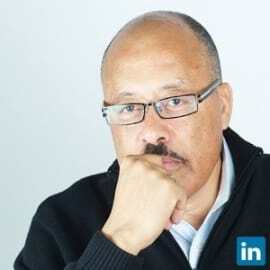 As President and Co-Founder of ISDI, he helps provide diversity and inclusion training sessions to Northwest Corporations including Nordstrom, Boeing, Alaska Airlines, Port of Seattle, T-Mobile, Weyerhaeuser, Costco, and others. His background includes development of diversity and inclusion change agendas, formation and oversight of employee resource groups, and training and skill building workshops. He is a graduate of North Carolina Central University and the Stanford University Executive Program.